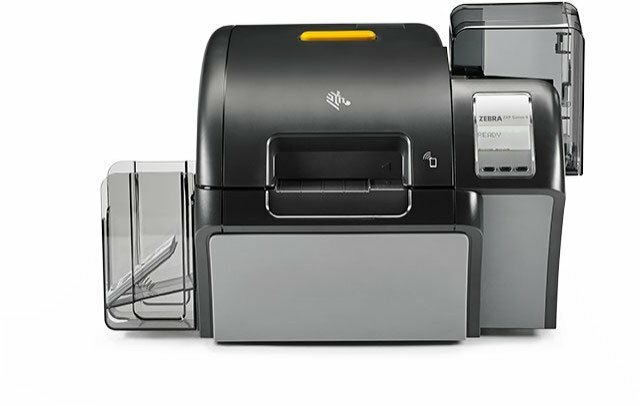 Zebra has recently enhanced its ZXP family of printers with the new ZXP Series 9. The new printer gives the user more control with its all-new, user-selectable print quality mode, allowing for higher speed and improved print resolution. Featuring industry-leading throughput, Zebra’s second generation retransfer technology enables users to produce cards that have more detail with sharper images. Superior image quality: The printer provides exceptional print quality through the all-new fine print mode with Zebra’s exclusive Color Predictive Technology. Plus over-the-edge printing enables true edge-to-edge images on a wide variety of card types including a biodegradable option. Fast print speed: With improved first card out performance, the ZXP Series 9 has the fastest print speeds in the industry, printing up to 190 cards per hour, while the dual-sided, simultaneous retransfer process provides best-in-class printing, encoding and laminating throughput. High security: The printer uses transfer films and laminates with a multitude of holographic security features to enhance security around unauthorized printer use, counterfeit card supports and multiple encoding options. Cost savings: Zebra’s patented waste-free laminate technology provides low cost-per-card operation, eliminating more than 50 percent of the waste compared to competitor laminates and a cost savings of more than 30 percent over the competition.